CEIPA business school in Medellin, Colombia, is a 40-year-old institution that developed its education model based on "problem nucleus,” allowing students to start their learning process by analyzing a real problem or issue in a company, then developing the appropriate competencies and skills to solve it. The model encompasses not only classroom and online acquisition of knowledge and skills, but also hands-on experiences, and outdoor training for polishing of personal skills and managerial abilities. This year, the institution has decided to initiate the AACSB accreditation process to enhance its reputation and position in the highly competitive higher education landscape in Colombia, as well as to become a recognized business school in the global marketplace. This process will take several years and implies many structural and cultural changes toward a more evidence-based process at all levels, thus generating many interesting opportunities for improvements. 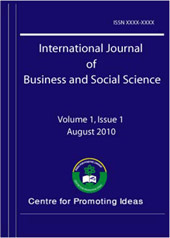 This paper analyzes the process of adaptation of the AACSB standards for CEIPA, and the challenges for change at all levels, including the student admission process, teaching methodology and the online component, student services, and the installation of assurance of learning and assessment processes in all programs, to name a few. Since the AACSB accreditation of business schools in Latin American countries is still limited, this paper may also help other institutions to embrace this challenge to become a world-class business school.